I thought I had an awesome day on Thursday at BEA when I met some favorite authors (you can read my post here: BEA Day 2: So much to see, where do I go first?) But Friday proved to be just as fun and I had the privilege of meeting some amazing authors that made an impression on me. I will spotlight them in this post and also in Part 2 tomorrow. And I look forward to reading their books! 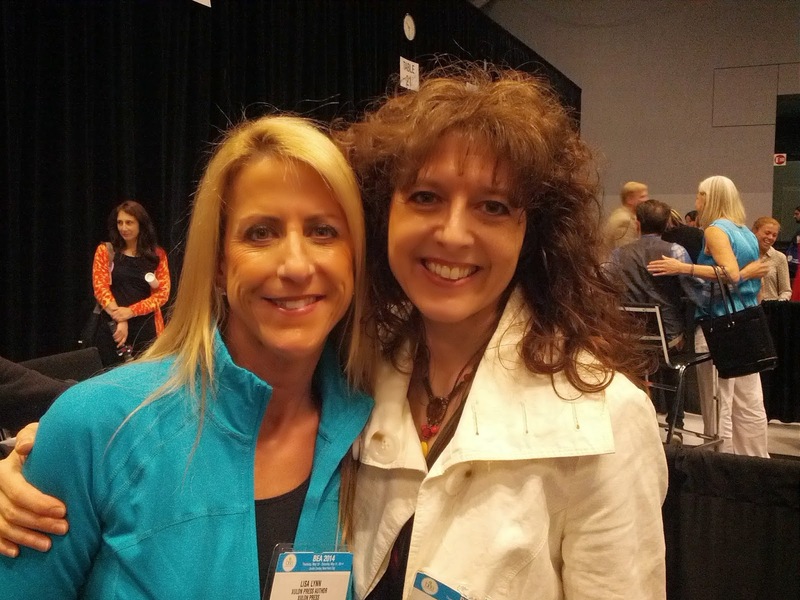 First, I was so excited to finally meet in person Michelle Moore, publicist at Shadow Mountain. I've worked with her on tours in the past and she is just lovely. Shadow Mountain has some great titles being released and we chatted about our work in the industry. So insightful to talk to publicists! I had the privilege of meeting and chatting with celebrity fitness and nutrition expert Lisa Lynn. Such a lively, enthusiastic and fun person to be with! I liked her instantly. Not only did she take a picture with me but she picked me up. Yeah, you heard right. She just bent down and scooped me up like I weighed nothing. She may be small but she's strong! And she complimented me by telling me that I was light and easy to lift. Thank you, Lisa! Can you see me holding on tight? I needn't have worried, this gal is strong! I will be starting a new feature on LCR, focusing on wellness. I will have Maria Fragapane, Kinesiologist on board with me to review books we think you'll love if you are into health and fitness. And we're targeting overall wellness, from brain health to physical and emotional health. 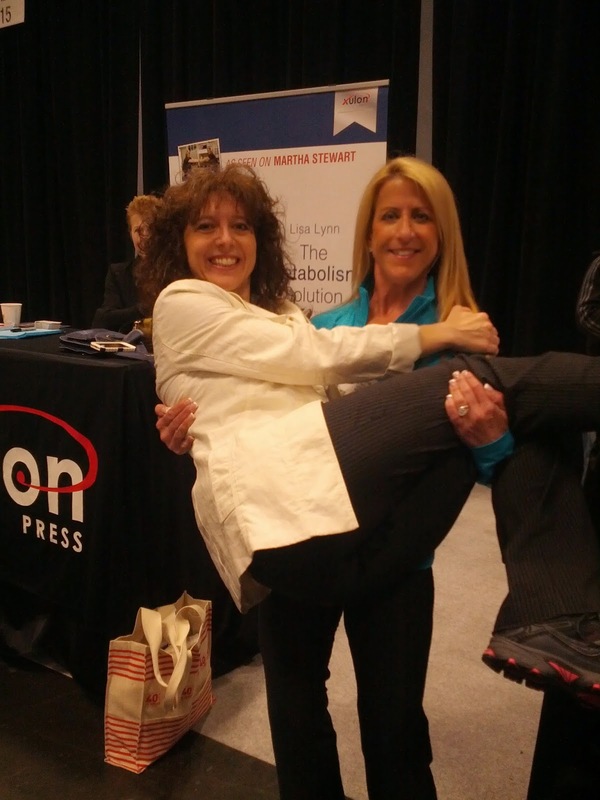 I will be featuring Lisa Lynn's The Metabolism Solution: A New Way to Lose Weight in my wellness features. She's motivating and passionate about helping women (especially those over forty) to look and feel good. Yes! 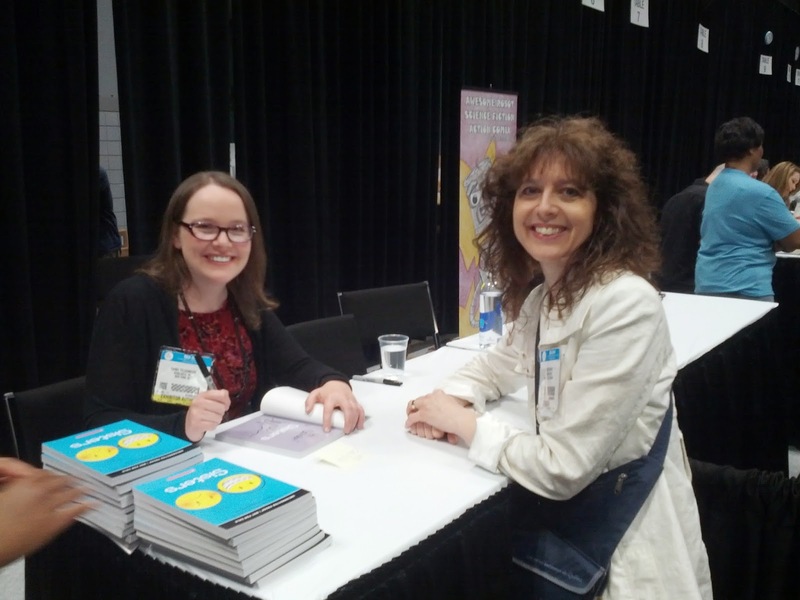 Next, I met Raina Telgemeier. My daughter and I loved her book Smile. And now Raina's upcoming graphic novel is Sisters. My daughter was thrilled to get a signed copy and she's already zipped through it. Look for her review in August. If you've never picked up Raina's books, do so because not only are her stories good but her illustrations are so full of life and emotions. Great for middle graders and teens! 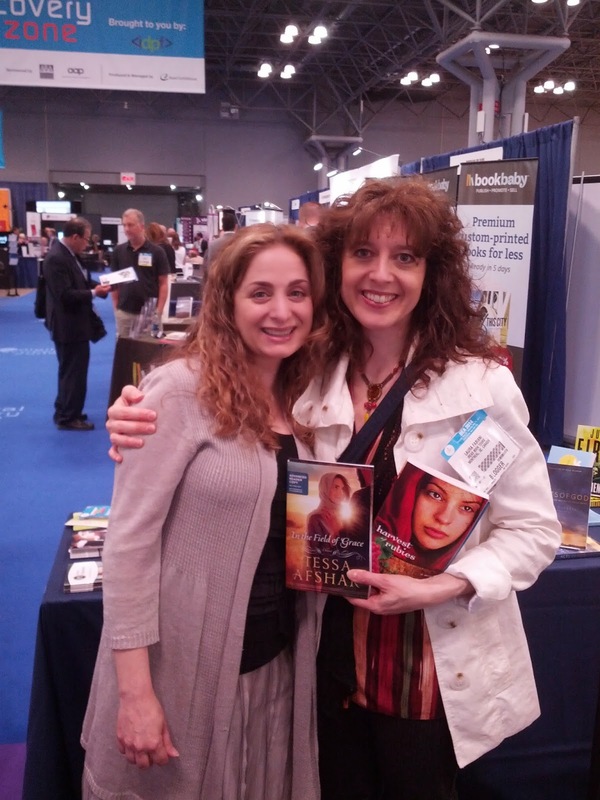 I was so pleased to meet Janet K. Shawgo who writes one of my favorite genres: historical fiction. 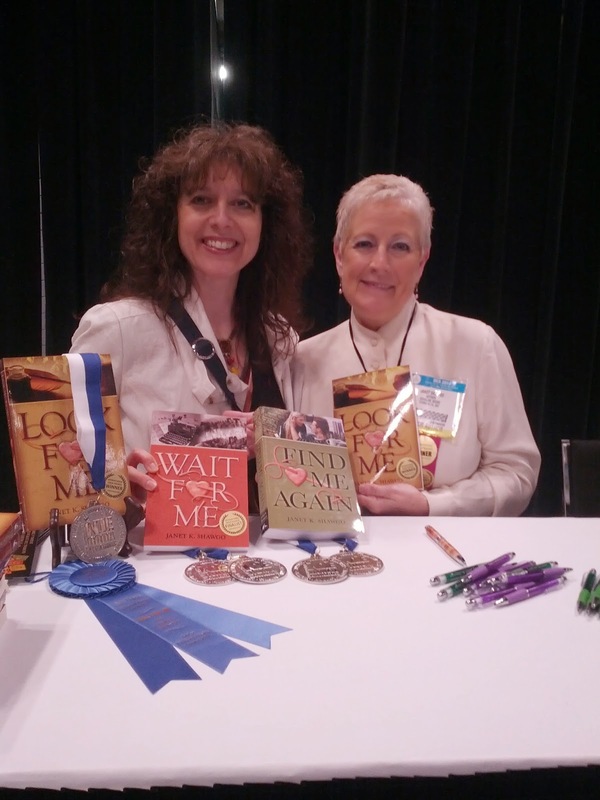 She was signing copies of Look For Me, the first book in a 14-time award winning series. Janet, who was a traveling nurse for fifteen years, writes "a gripping tale of Civil War-era romance and espionage", which I can't wait to read! The synopsis caught my attention immediately. She, her sister and their publicity crew were wearing costumes from her book's era, which I thought was so creative. Finally, I stopped by Moody Publishers when I spotted Tessa Afshar's books on display. I had a great chat with the publicist and then Tessa joined us. I was thrilled to meet her. She graciously gave me Harvest of Rubies, the first book in a series. I had already read the second book and thought it so kind of her to offer me the first! I also got her upcoming title In the Field of Grace, which is the story of Ruth. If you haven't guessed yet, Tessa writes biblical retellings. Of course, I met many other authors and publicist, of whom I do not have pics, but with whom I enjoyed networking. Tomorrow I will post more pics and spotlight other authors that made an impression on me. 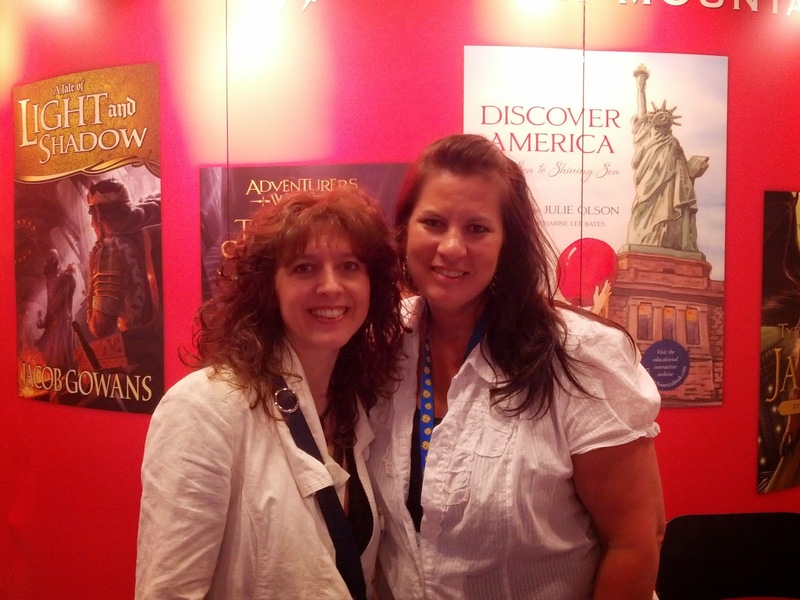 Read Part 2 of BEA Day 3: Meeting Awesome Authors and Losing Their Books! If you went to BEA or participated in BEA, which authors or events stood out to you? I'd love to hear about it!